The last time the Go-Betweens’ back catalog was reissued was around 10 years ago or so. Now the acclaimed Australian band’s music is getting another look, this time given the deluxe treatment. 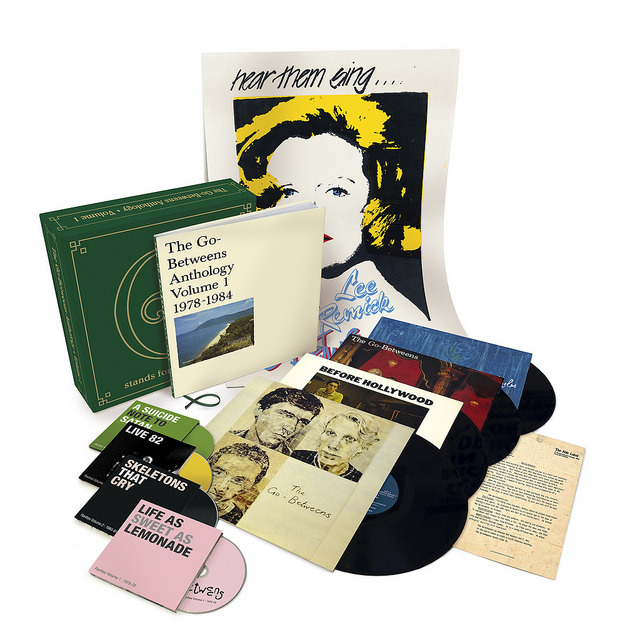 It was announced Thursday that Domino will be releasing a new boxed set G Stands for Go-Betweens: Volume 1, 1978-1984 on January 20th of next year. According to a press release, the collection will contain four vinyl album, four CDs, and a 112-page book featuring photos and liner notes by band co-founder Robert Forster. The vinyl records consist of the band’s first three studio albums Send Me a Lullaby, Before Hollywood, and Spring Hill Fair along with another set called The First Five Singles; the CDs consist of rarities, demos and a live radio performance. As an added incentive, the first 600 people who purchase the set will receive a selected book from the late Grant McLennan’s own collection along with a bookmark signed by Forster. The Go-Betweens’s last album prior to McLennan’s death in 2006 was Oceans Apart from the year before. The Go-Betweens – Cattle and Cane from Domino Recording Co on Vimeo.